Combat Carl: When Combat Carl is in a jam, he says to himself, "Combat Carl never gives up. Combat Carl finds a way." Now say it! Combat Carl: You're not Combat Carl! Jessie: Oh! Jessie never gives up! Jessie finds a way! A Fun Little Adventure With All Your Favorite Toy Story Characters! I stumbled across this little "Toy Story of Terror" short practically without even knowing it existed. 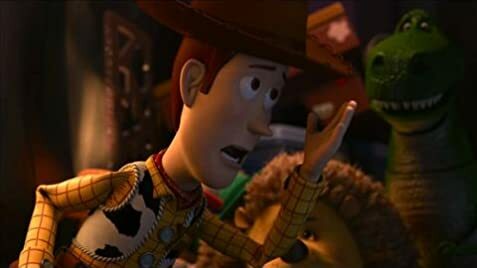 I had a bit of trepidation, however, as the ending of "Toy Story 3" was so incredible that I didn't want things to get "ruined" by tacked-on material that muddies the water. 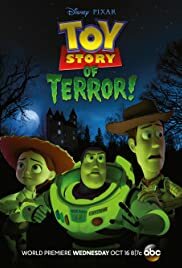 Luckily, "Toy Story of Terror" doesn't try to do too much (a 22-minute runtime pretty much dictates that, I guess), instead providing a fun little adventure that lampoons scary movies in a fun fashion. All your favorite characters are on point, and it even introduces some new blood with Combat Carl (voiced by Carl Weathers), a GI Joe-like toy with a penchant for speaking in the third person. Not too much to analyze here...just a lot of fun with your favorite characters from the film trilogy! I wouldn't pay too much for a 22-minute short, but if you do get a chance to see it I think you'll be cracking smiles throughout.